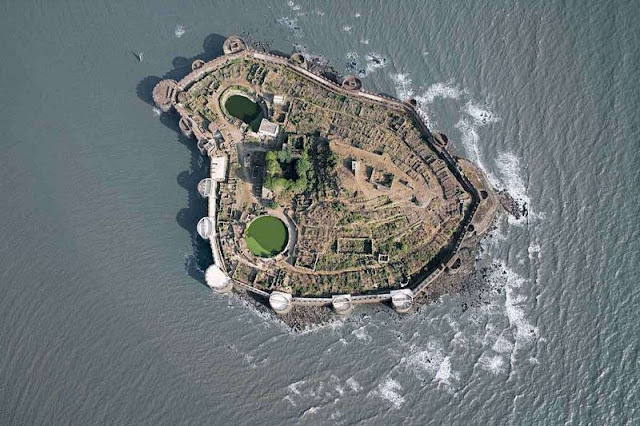 The Murud-Janjira Fort is situated on an oval-shaped rocky island in the Arabian Sea, near the coastal town of Murud, 165 km south of Mumbai, India. 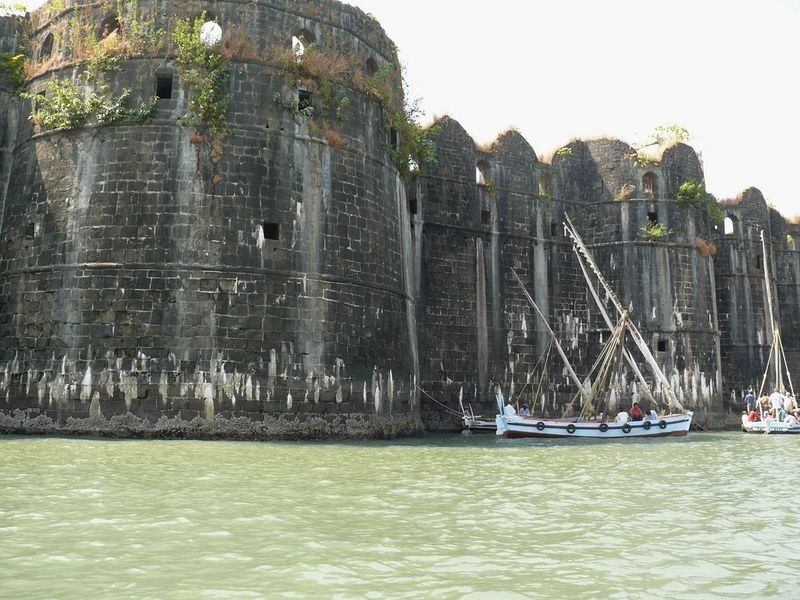 Once the stronghold of the Abyssinian Siddis, who played an important role in the history of Mumbai, later in the 17th century, Janjira is regarded one of the strongest marine forts in India, and the only unconquered one along India’s western coast. 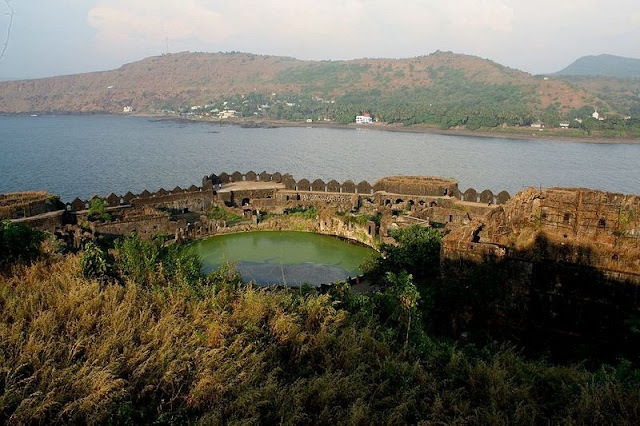 The fort was famous for its three gigantic cannons, weighing over 22 tons each that were feared for their incredible shooting range. Therefore, the words “Janjira” steal from Arabic word “Jazeera”, which means an island. Murud is a Marathi word for the Siddis, an ethnic group originating from Abyssinia, a historical nation in modern day Ethiopia. 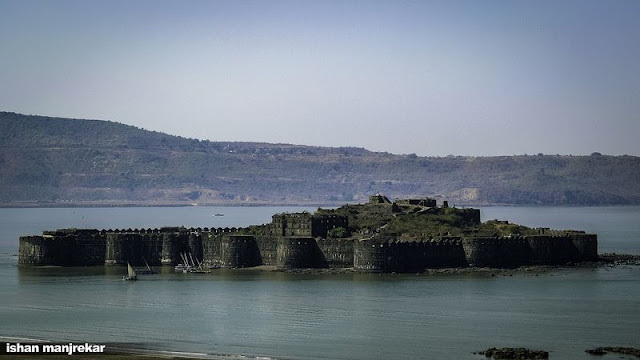 So Murud-Janjira basically means “island of the Siddis”. The fort was originally built not by the Siddis, but by a local Maratha-Fisherman Chieftain, Rajaram Patil, in the 15th century, albeit on a smaller scale. At that time the fort was recognized as "Medhekot” and was built to defend his people from pirates and thieves. 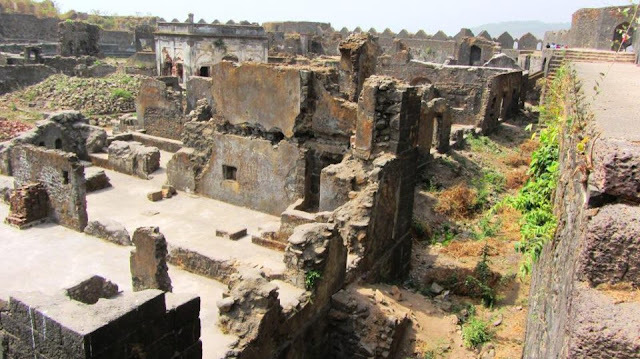 This was captured by a general of Nizam Shah of Ahmednagar, and later strengthened by Malik Ambar, the Abyssinian-origin Siddi regent of Ahmednagar kings. From then onward, the Siddis became independent and extraordinarily influential as autonomous state, and the fort continued to be occupied by them. Throughout history, several attempts were made by the Portuguese, the British and the Marathas to pacify the power of the Siddis, but badly failed. 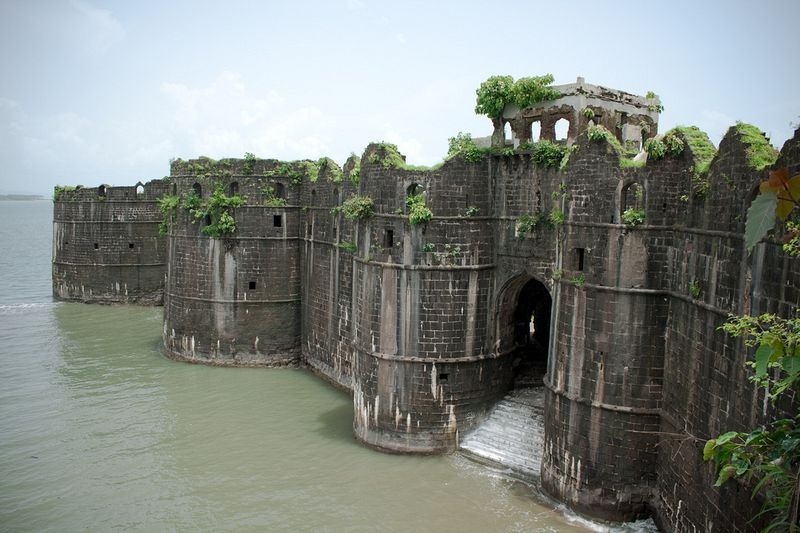 However, the great Maratha leader Chhatrapati Shivaji tried unsuccessfully to scale the fort’s 40-feet high granite walls. Although in ruins now, Murud-Janjira was a full-fledged living fort in its heydays with all required facilities such as palaces, quarters for officers, mosque, fresh water tanks, etc. 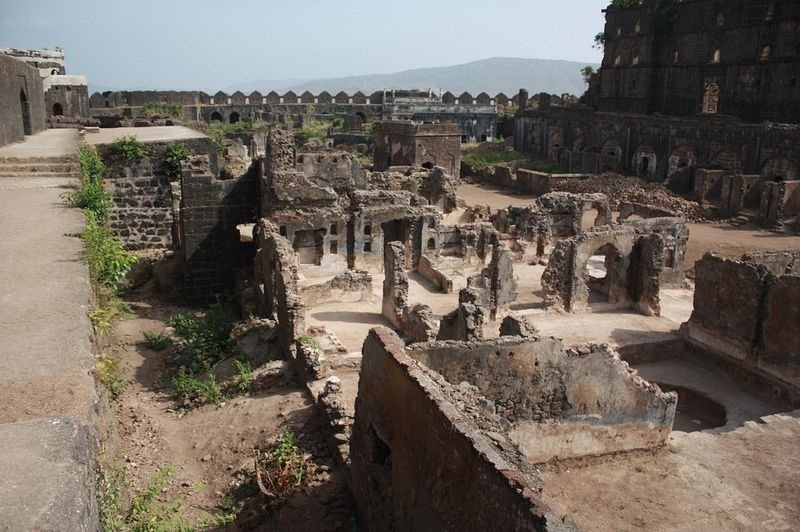 The outer walls and all the rounded bastions of the fort are still intact. Other attractions for history buffs include the Palace of the Nawab, because this lavish cliff-top mansion built by the former Nawab of Janjira commands a panoramic view of the Arabian Sea and the Janjira sea fort. 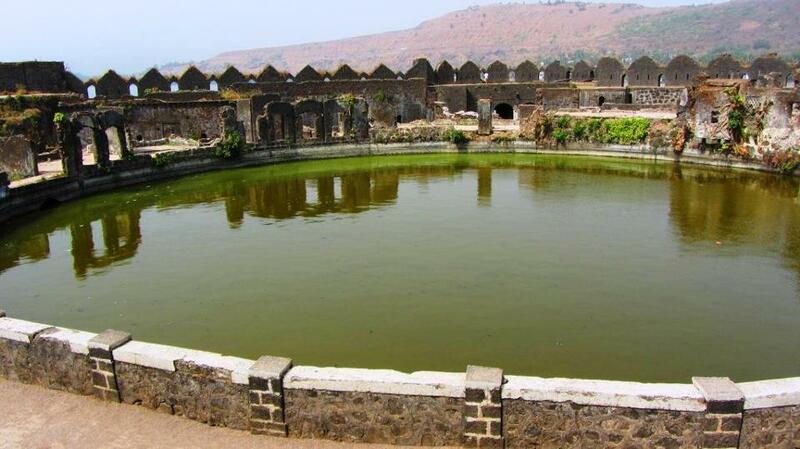 Moreover another special attraction of this fort is three gigantic cannons named Kalalbangdi, Chavri and Landa Kasam. 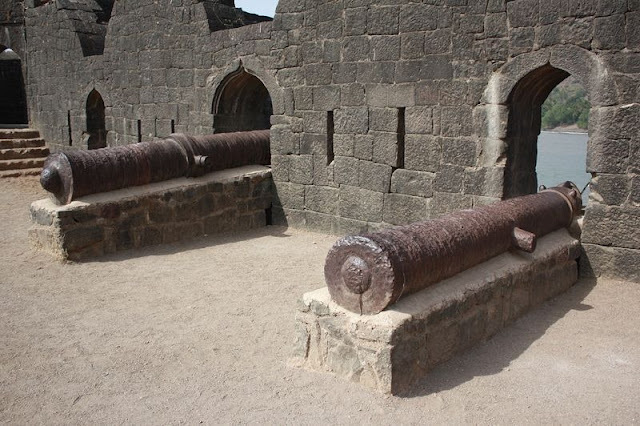 These cannons were said to be feared for their shooting range, another gate to the west is sea-facing, called 'Darya Darwaza'. An incredible 8-KM walkway along the bank of Paiva River in arouca, Portugal stretches across the sprawling natural terrain. The wooden walkways that cling to the mountain side a winding staircase that leads to the top of a huge hill, providing a stunning 360° panoramic view of the terrain, and an extremely narrow wooden bridge that spans across the river surrounded by soaring cliffs, sweeping views of waterfalls, quartz crystal deposits, exotic fauna and flora and abundant natural vegetation. 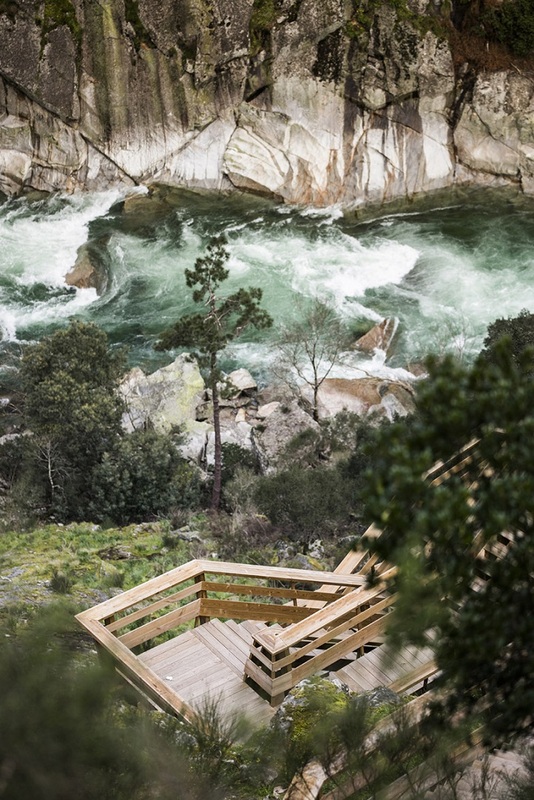 The ‘Paiva Walkways‘was opened in July 2015, and route begins from the river beach Areinho and finish at another beach Espiunca. 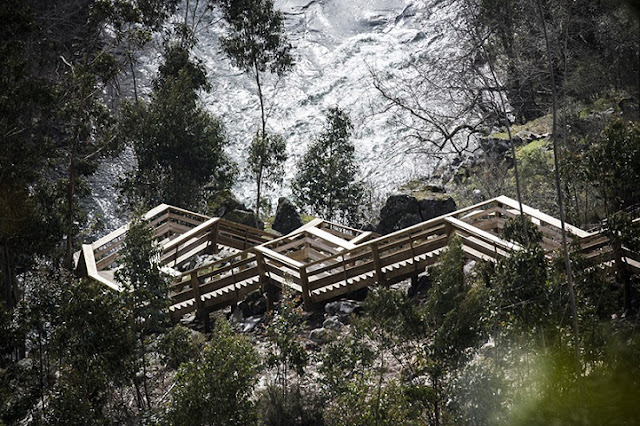 Last year in September, the devastating wildfire damaged over 600 meters of wooden walkways, but authorities has done restoration work quite briskly and reopened for public. 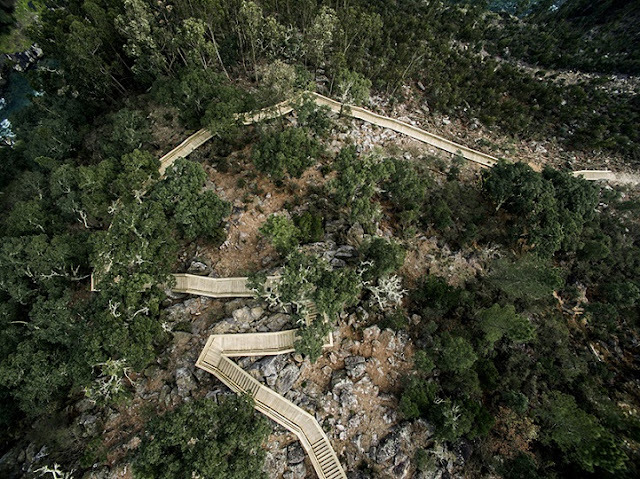 more than merely a simple walk in nature, this unique experience is an infrastructure that interferes as little as possible with the surrounding environment and continues along the topography, with rest stops and strategic panoramic points positioned to admire the view. 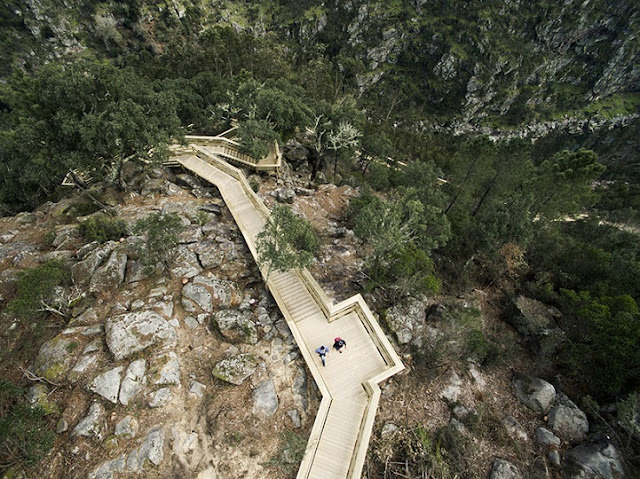 Hikers are bestowed with stunning natural views to capture the route dizzying directions, documenting different parts of the path and its relationship to the marvelous landscape. In Bulgaria, Shumen Fortress is one of most popular landmarks, three kilometers away from center of Shumen. 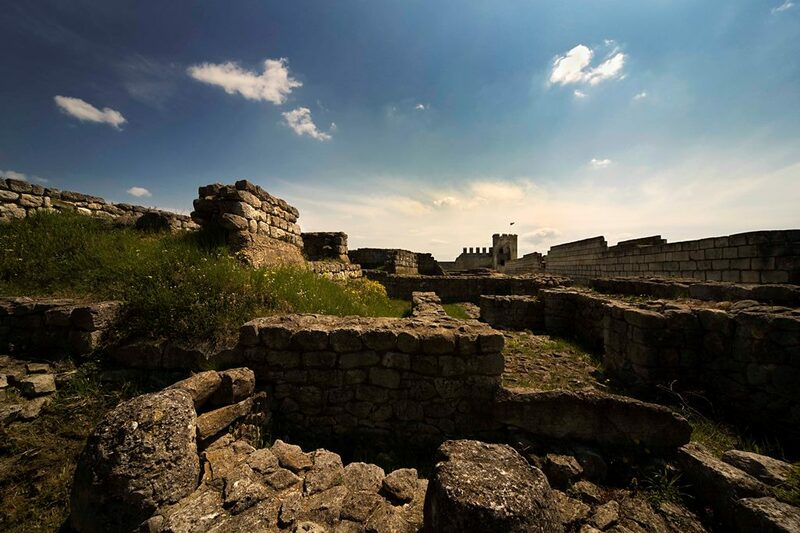 The ancient fortress with historical linkage to a village is situated in the Shumen Plateau, perhaps first built by Thracians and later reconstructed by Romans, Byzantines, and Bulgarians. Shumen Fortress conquered and demolished various times until 1444, when it gives to new life. 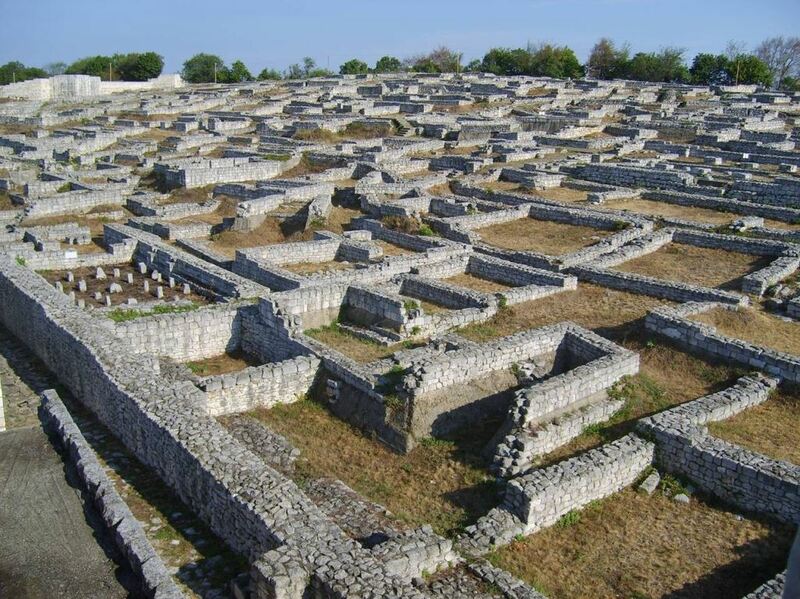 It is thought; the first fortification built 3200 years ago, probably one of the oldest fortifications in Bulgaria. 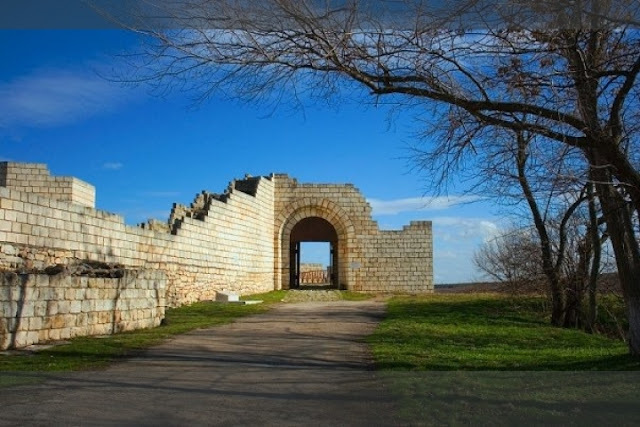 Therefore, during first Bulgarian Kingdom 680D to 1018D the fortification played a vital role due to its closeness to the Pliska and Preslav. However the second Bulgarian Empire 1185 to 1396 the Shumen became a prominent economic and culture center of the stats. 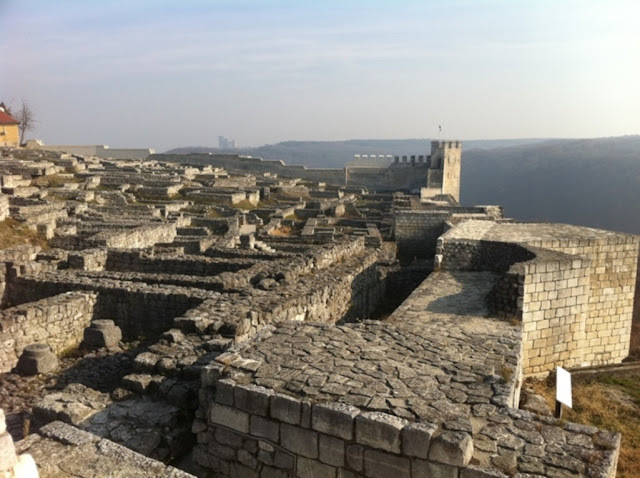 Many legends believe Ottoman demolished the fortress after conquered it in 1844. 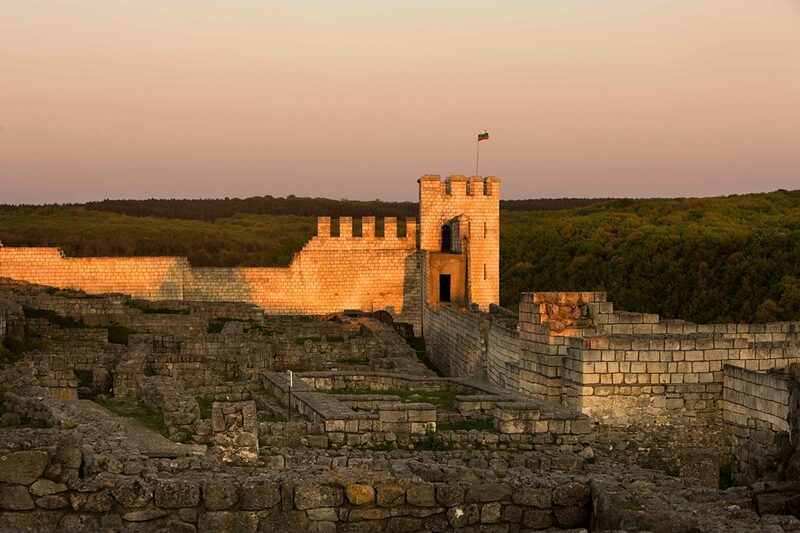 But archaeological research reveals it was burned and demolished by crusaders led by Vladislav Varnenchik during 1434-1444. The Polish-Hungarian descent had attempted an attack on the Ottomans which has proved to be very calamitous as he was killed during the Battle of Varna. Following this battle the fortress was looted and gutted and the Ottoman rulers eventually abandoned the fortress completely. 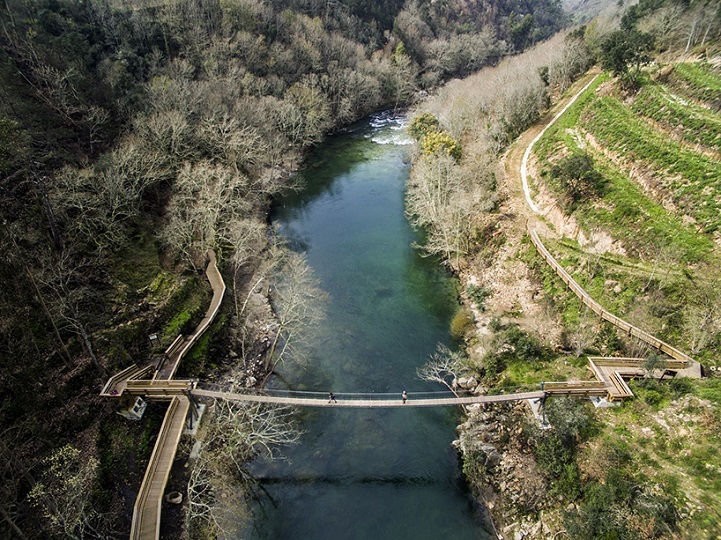 The First Empire has revealed during archaeological excavations carried out since 1957, a village dating back to the Iron Age to the 4th century BC. 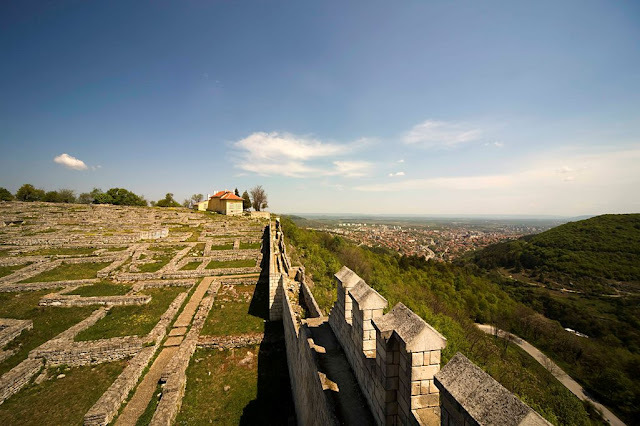 In eastern and central parts of Europe there is hardly any one area where a nation’s history as a whole, through over one thousand years, is concentrated to the same degree as in Shumen. The Shumen fortress represents a substantial part of the country history and remains of Fortress most thoroughly studied in Bulgaria, reveals information about the life and military customs of Bulgarians. 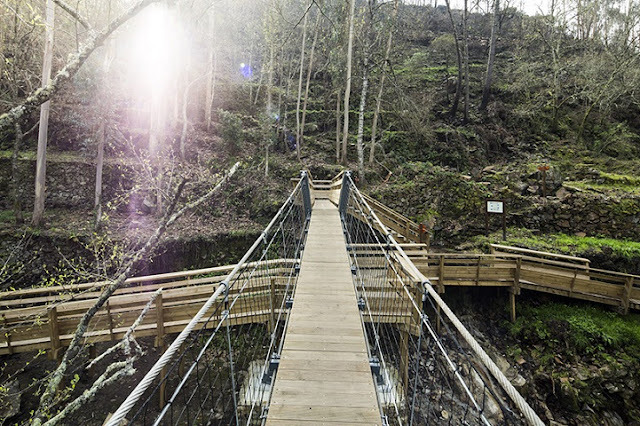 The remains consist of Roman bath, vessels, pottery, adornments and coins were found. In 2012, restoration work was started with financial assistance provided by EEA (European Economic Area) and partially completed in 2015 covered walls of the fortress, creating tracks for walking around the fortress, and also building turnstiles. 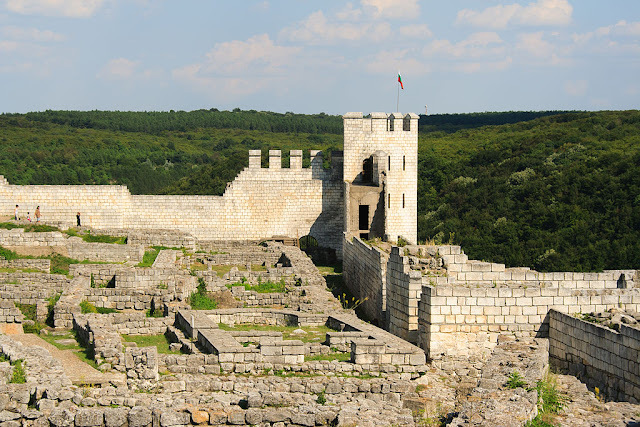 These days, Shumen Fortress has converted into popular tourist destination along with open air museum. 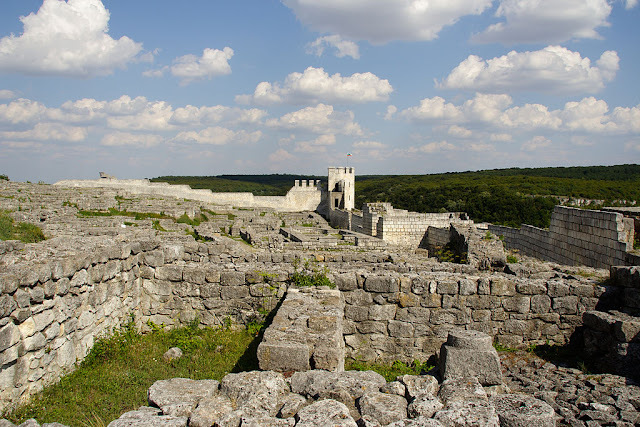 Tourists are attracted by rebuilt of tower of fortress offers a stunning view of the Shumen City. 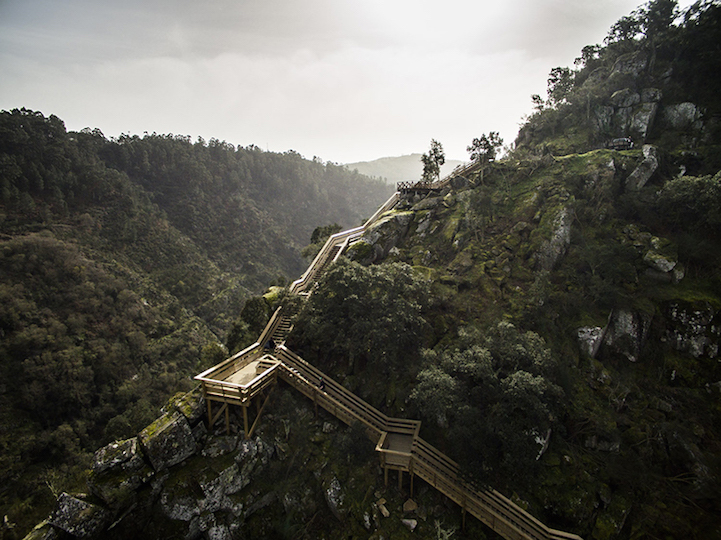 The restoration works and other infrastructure created to boost tourism are artistic lighting and equipment for temperature and humidity control, publicity brochures and overall management aspects. The Fortress is nowadays an historical and archaeological reserve, a national tourist site in the area of the Shumen Plateu Nature Park. 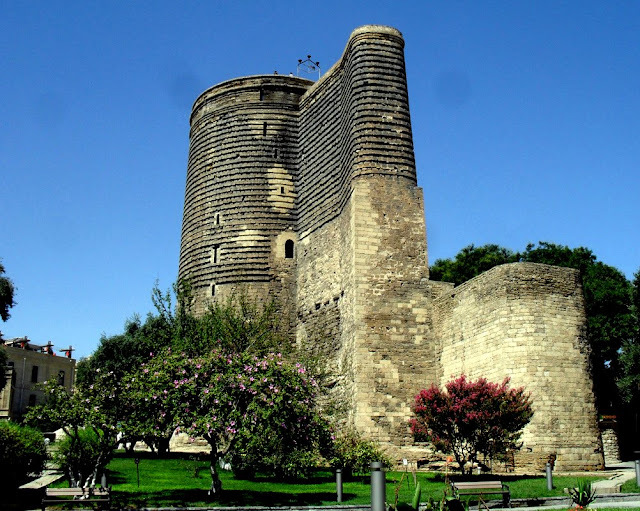 The Maiden Tower, also called “Giz Galasi” is located in the old city of Baku in Azerbaijan. 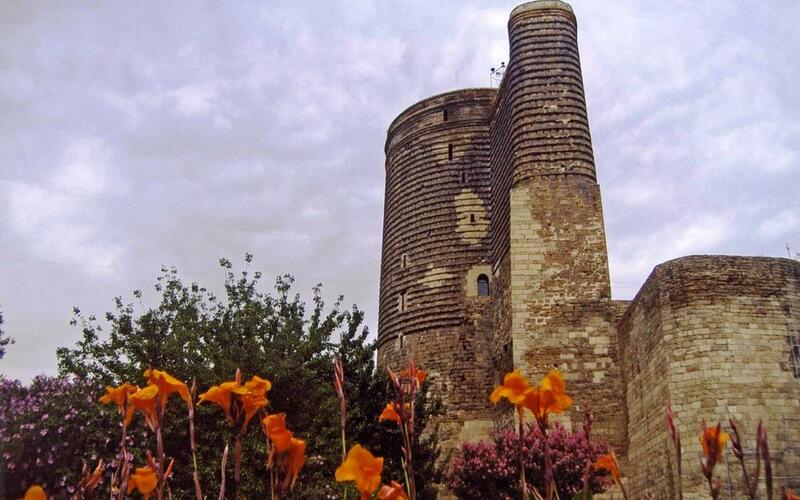 The Maiden Tower is a historic monuments listed in 2001 under the UNESCO World Heritage list of Historical Monuments. The Maiden Tower is a prominent Baku landmark, a much loved symbol of the city looms dark and enigmatic, is shrouded in mystery, why it was built for or even how it acquired its name Maiden Tower. Therefore, no written sources/evidence survives that record its construction or original function. 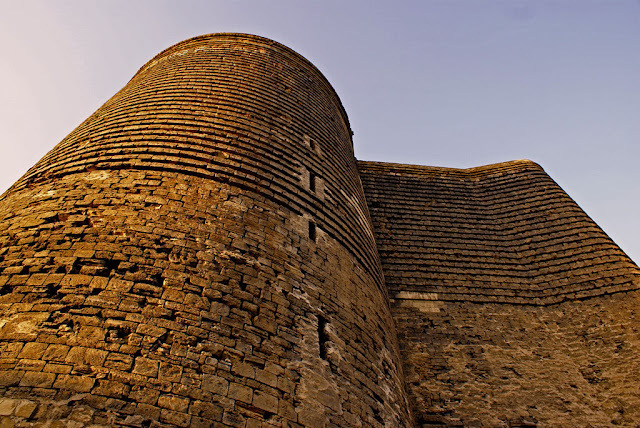 It is as cultural property, built in the 12th century (although some sources state the 5th century as the start of its construction) as part of the walled city just close to Shirvanshah’s Palace. The Maiden Tower is most distinctive national emblems of Azerbaijan’s, featured on Azeri currency notes and official letterheads. There’s museum inside Maiden Tower, showing historic evolution of the Baku city. 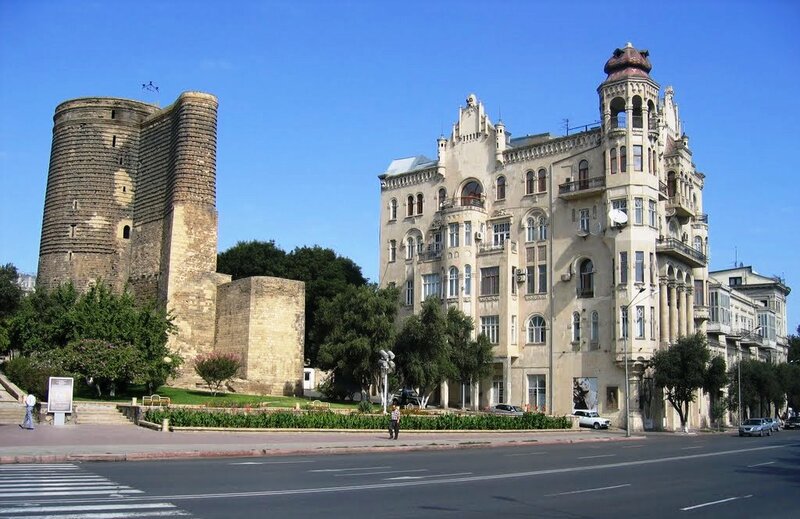 Thus, the magnificent view from top takes in the alleys and minarets of the old city, the Baku Boulevard, the De Gaulle house, wide vista of the Baku Bay and sea shore lines of the Caspian Sea. The Khan of Baku, has threw his daughter or sister (not confirmed) threw herself off its top to her death came to be incarcerated by her brother. Moreover, it is also believed that to escape from the ignominy of incarceration, she jumped to her death from the top of the tower. The Maiden Tower has mystique and hoary history was used as an astronomical observatory from the time of this reconstruction, due to the fact that 30 hewed stone protuberances on the tower's lower section and the 31 protuberances on the upper section, linked with a stone belt, correlate to the days of the month. As per 1962-63 excavations, the archaeological found ground floor was built on a large rock sloping towards the sea, along with wooden girders each 14 meters high at the foundation of the tower. 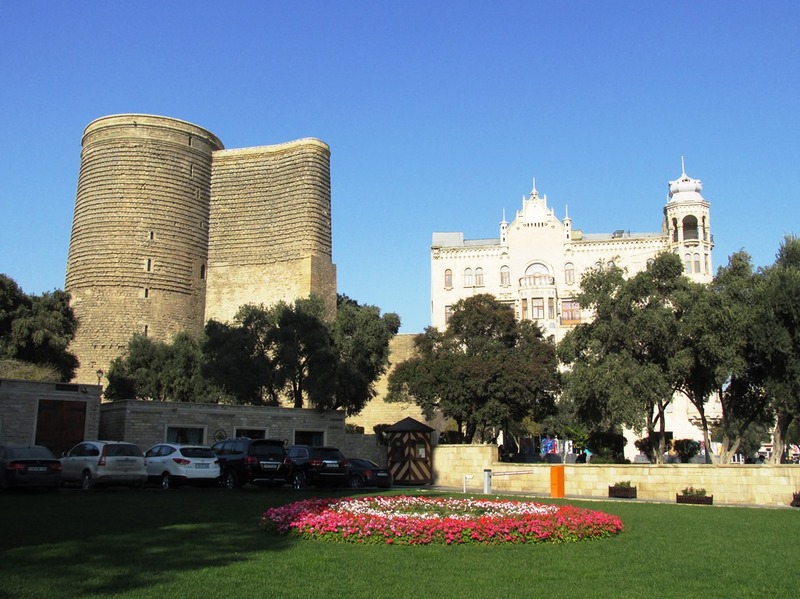 The Maiden Tower is Baku’s most distinguished landmark, most majestic mysterious monument, constructed alongside a natural oil well. 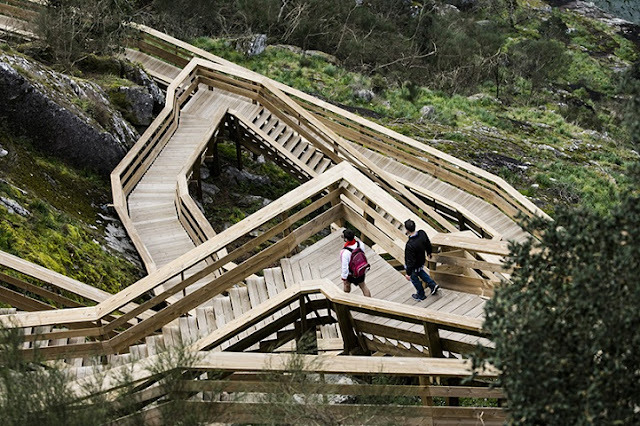 The tower is 8 story structure heights are 97 feet and 54 meters base can easily accommodate 200 people. 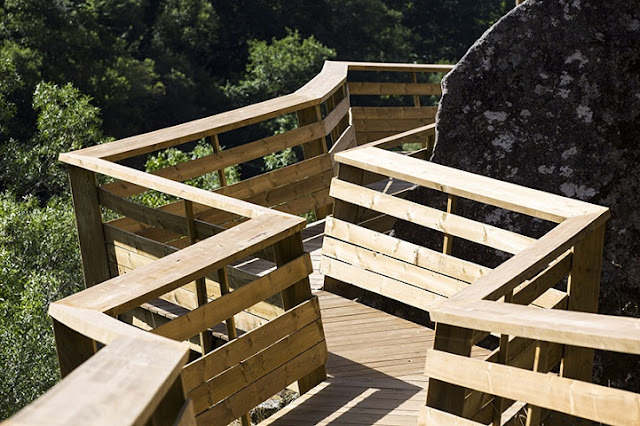 The wall thickness varies to 3.2 to 4.2 meters; all floors are connected by staircase which abuts the circular wall. Another theory indicates, that tower was built for astronomical purpose, as tower main faces east side pointing to the sunrises and door faces towards southeast. The archaeologists suggests, the interior and exterior surface is diamond shaped, cut seen as a decorative feature. Historians have also agreed that, The Maiden Tower was built for defensive purpose, or may be for lookout post, or a fire beacon. The word “Maiden” is also found in the names of the other towers in the territory of Azerbaijan and perhaps it means “unsubdued”, “impregnable”. A 21 meter deep water well has been discovered on the 2nd floor of the tower, interpreted as rainwater harvesting structure, pluming seen running down from the niches of the tower into the well was meant as a supply source. The tower and city walls were badly damaged in an earthquake in 2,000 which were not properly restored due to lack of efforts by the national authorities to conserve this cultural heritage. 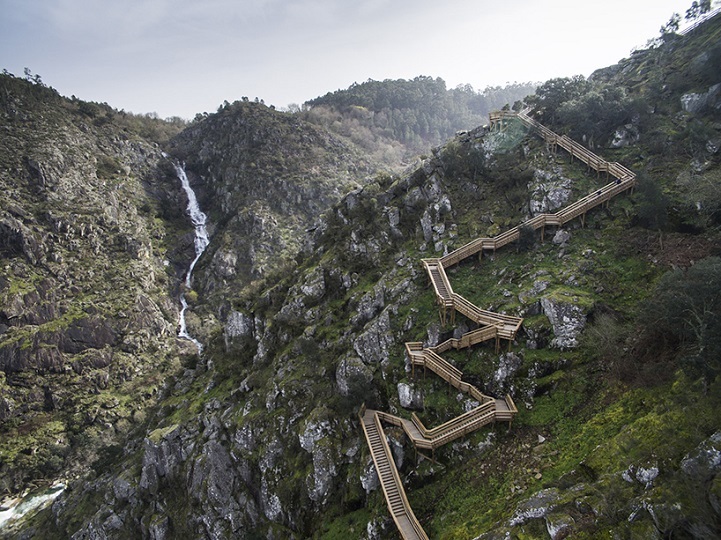 UNESCO listed the property under the List of World Heritage in Danger from 2004 to 2009. 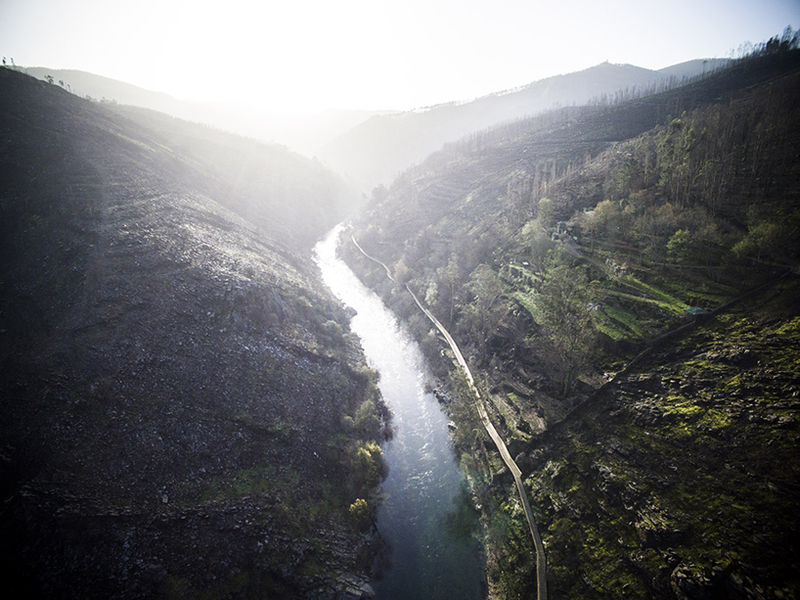 Therefore, due to urban development pressure, makes authorities evolved a Conservation Master Plan to conserve the property eventually removed the “in danger” tag by UNESCO in 2009. There’re many Azerbaijani poems & plays indicates, that legendary tale of the King willing to force his daughter to marry a man she doesn’t love. Even though, many stories tell, that ruler actually wants to marry with her daughter. Anyway which she escapes by requesting her father to build a tower for her, and when tower was finished. When the tower completed it, he had still not changed his mind. Then she decided to commit suicide by jumping from the top of it. As of 2011, the tower also participates in "Earth Hour," a campaign against climate change in which large buildings "go dark" for an hour to draw awareness to the cause. The tower’s unusual construction is impossible to miss the mighty Maiden Tower when visiting Baku. 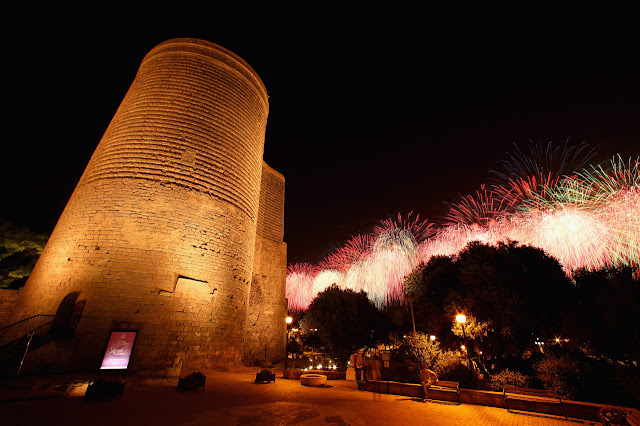 These days the tower is still proudly standing in the old Town of Baku. 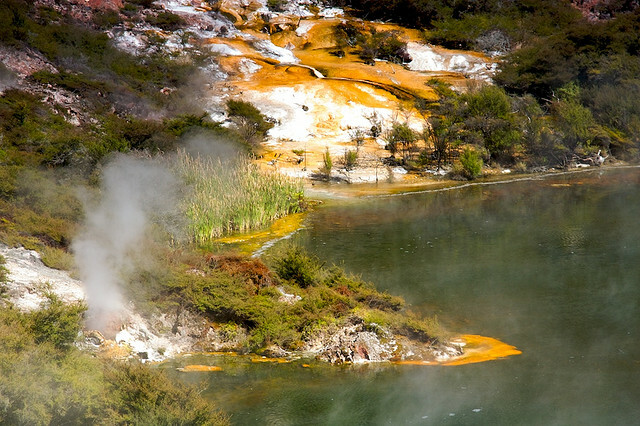 Frying Pan Lake is the largest hot spring in the world, located in the Echo Crater of the Waimangu Volcanic Rift Valley New Zealand. 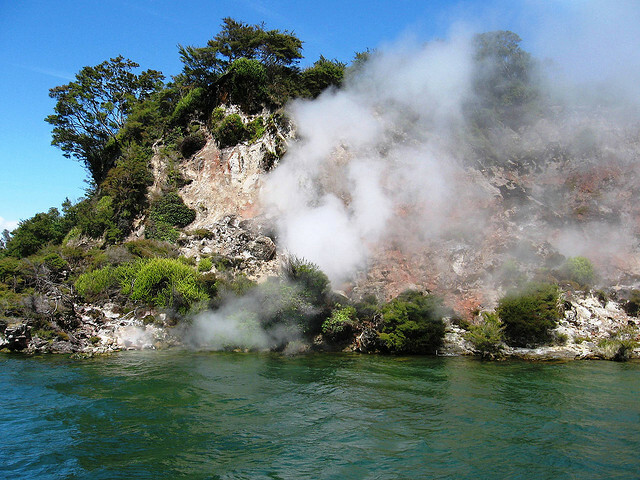 In 1886, the most destructive volcanic eruption of Mount Tarawera results in formation of Echo Crater and nearly killed more than one hundred people. The crater’s partly filled with rainwater and heated groundwater, and its acidic water maintains a temperature of about 50–60 °C. 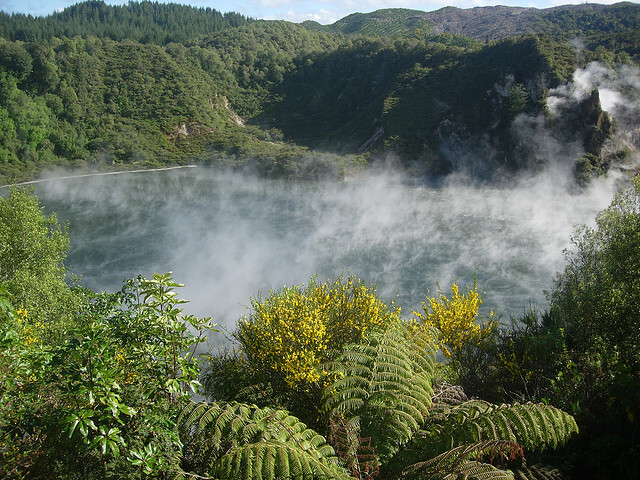 Frying Pan Lake is also called Waimangu Cauldron till 1960’s, however not widely used. In 1917, another massive eruption in Echo Crater resulting bigger part of hot springs to reach its current size. 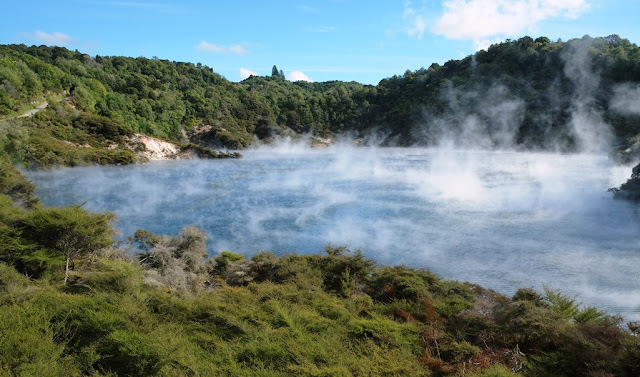 The Frying Pan Lake water is naturally steaming and can appear to be boiling due to carbon dioxide and hydrogen sulphide gas bubbling to the surface, however, the lake's average temperature is 55 °C. 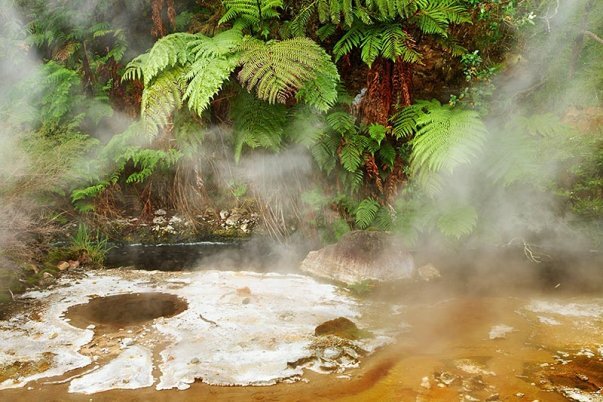 The Frying Pan Lake is recognized to be as the youngest geothermal system in the world, as it occupies 38,000 square meters as a part of a volcanic crater with a flat floor that is six meters deep and vents that could go deep up to 20 meters. The last eruption in Echo Crater taken place in 1973, which is badly, damaged the Trinity Terrace area, which was extremely colorful sinter terrace. However, these terraces are still visible on the western shore of Lake. 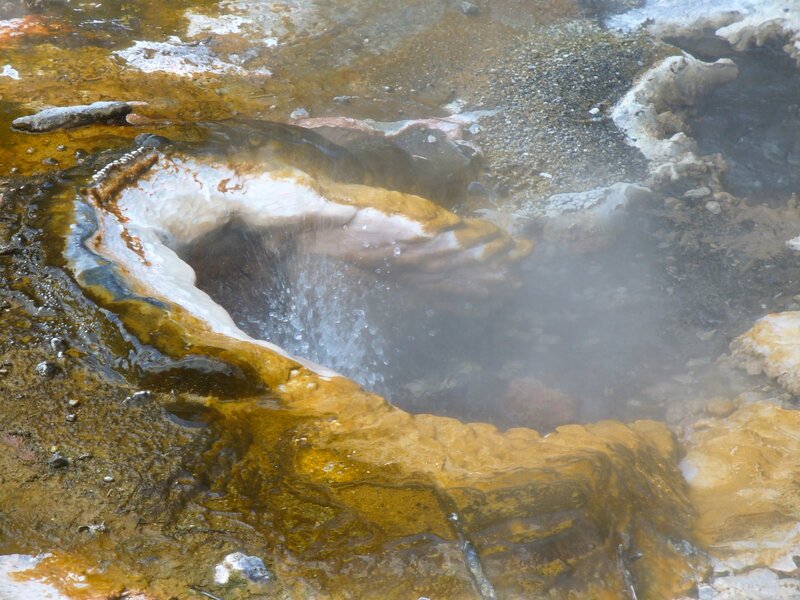 The lake and its outflow, have an average pH level of 3.8, although some of the boiling hot springs and vents on the lake's bed feed it with alkaline water of pH 8.2 to 8.7. Monolithic Cathedral Rocks are bounded on the north side of Lake, made of rhyolitic lava at least 60,000 years old. The massive eruption of 1917 has completely changed the shape of Echo Crater, also disappeared fumarole known Devil’s Blowhole in that event. 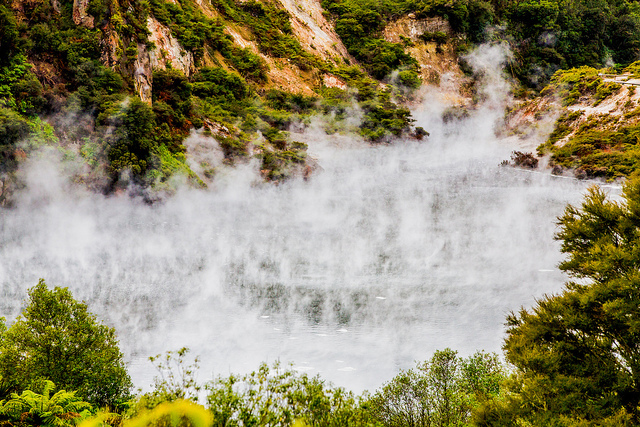 In Photos, the steam looks like low hanging fog in the early morning hours of autumn day. 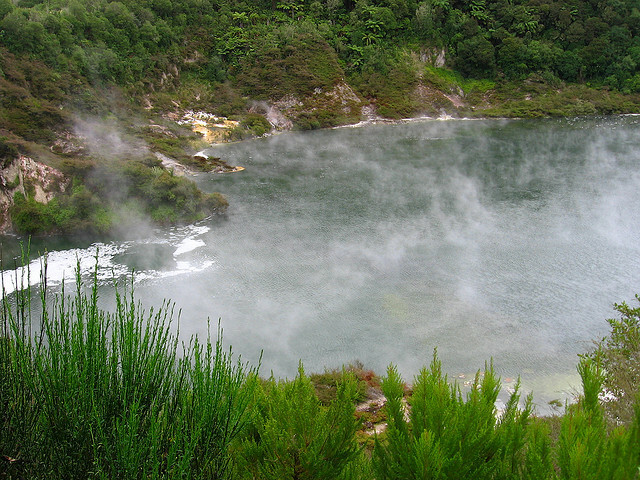 The Frying Pan Lake has special flair, showing the appearance of a large boiling cauldron. 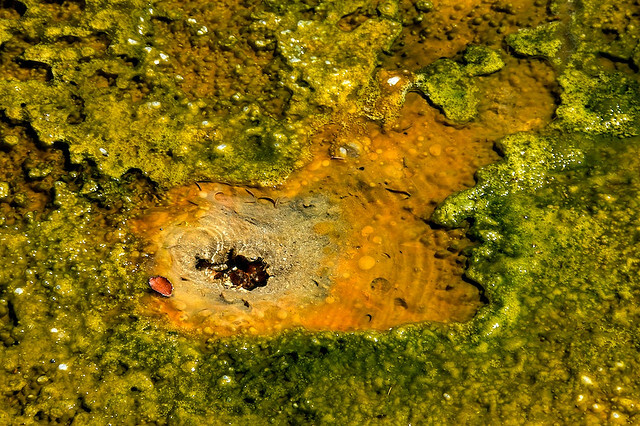 The various gradients of blue, green algae Mastigocladus Laminosus, eukaryotic algae Cyanidium Caldarium are present in the lake. 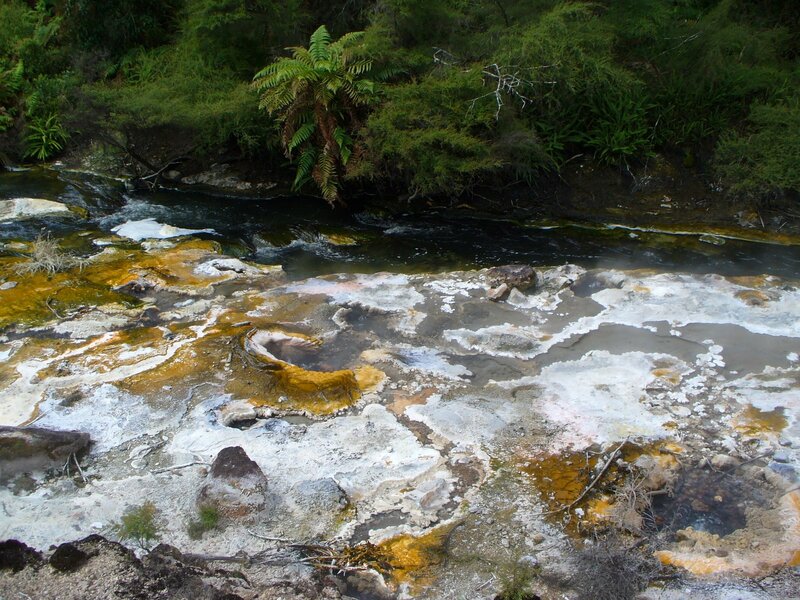 The site of the extinct Waimangu Geyser is located not far from its north-eastern shore. 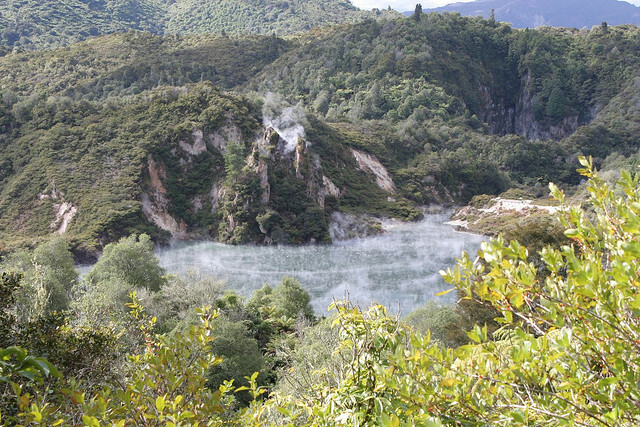 Besides the steam and gases coming off, you will also easily notice the natural chimney at the side of the lake. 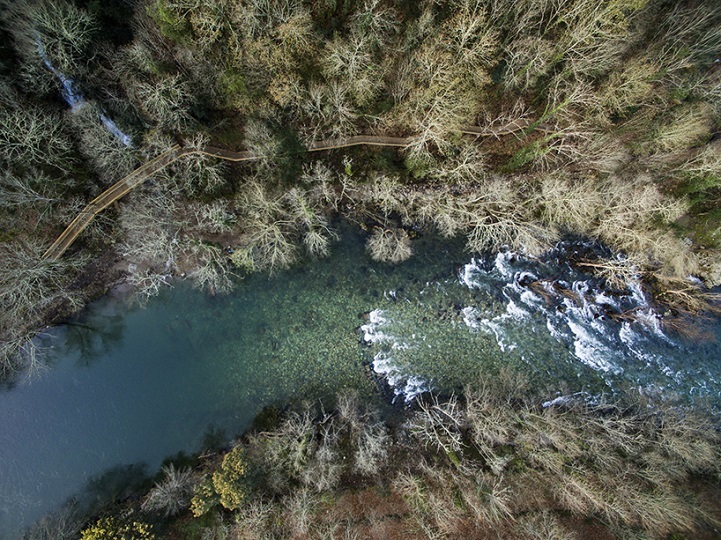 The outflow water volume is Frying Pan Lake has varied. 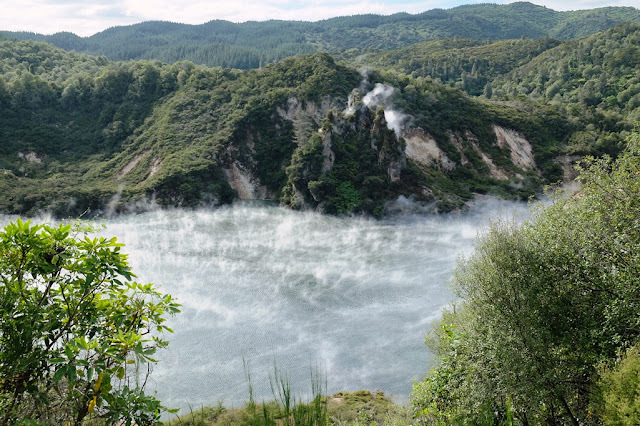 The unique cyclic nature of the hydrothermal system interconnecting Frying Pan Lake and the adjacent Inferno Crater Lake water levels and overflow volumes follow a complicated rhythm that repeats itself roughly every 38 days. When the water level and temperature of Inferno Crater Lake increase, the water level and outflow of Frying Pan Lake drop. 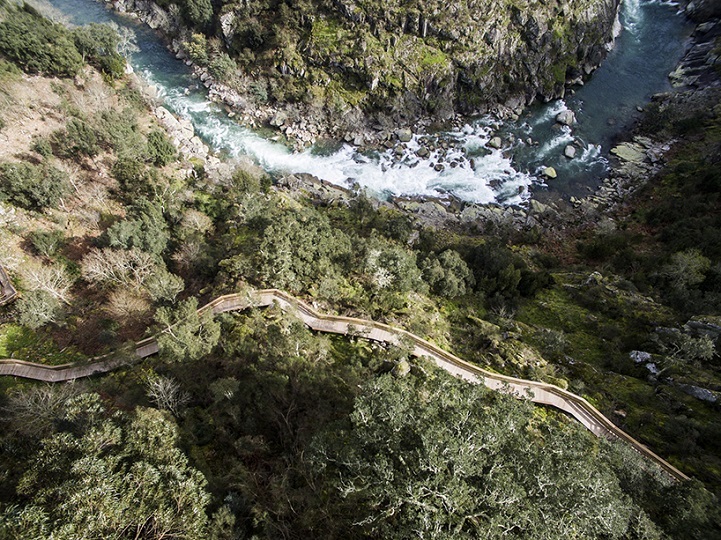 Frying Pan Lake is one of the first major attractions encountered along the wheelchair-friendly main Waimangu walking track. 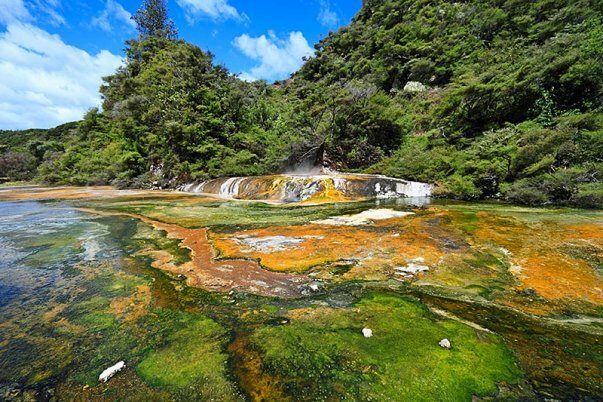 Frying Pan Lake is a fantastic spot in Waimangu, where you can enjoy self-guided nature walks, amazing landscape, geysers, lakes, volcanic craters, bird life, plants and breathtaking adventure.